Our team had the greatest day with this amazing couple, whose first look happened on the roof of the Lotte New York Palace with the Empire State Building in the background. More iconic NYC locales came next with a walk to Radio City Music Hall and Rockefeller Center, posing with the Christmas tree. We loved the red theme these two used throughout their wedding from the groom’s bowtie to the groomsmen socks, the flower girl dresses, the bride’s lipstick and the elegant five-tiered red and gold wedding cake. Congratulations! 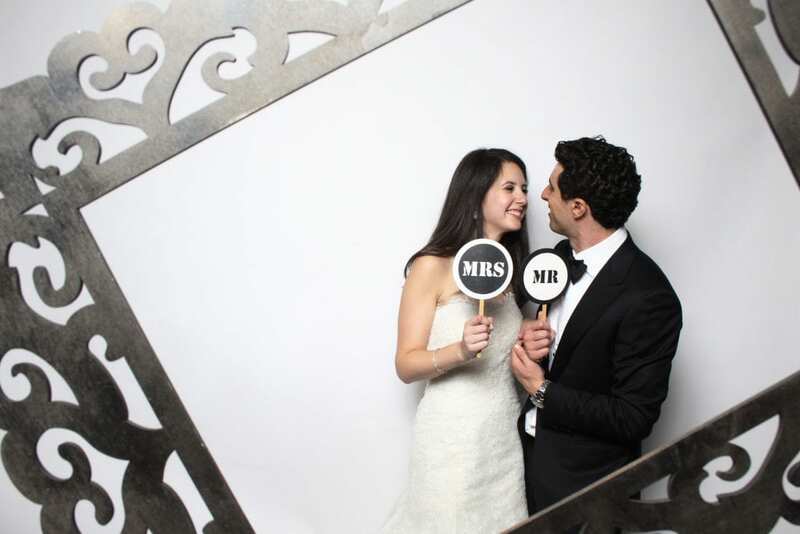 Check out our fun photo booth custom video piece from this awesome wedding at The Pierre New York! 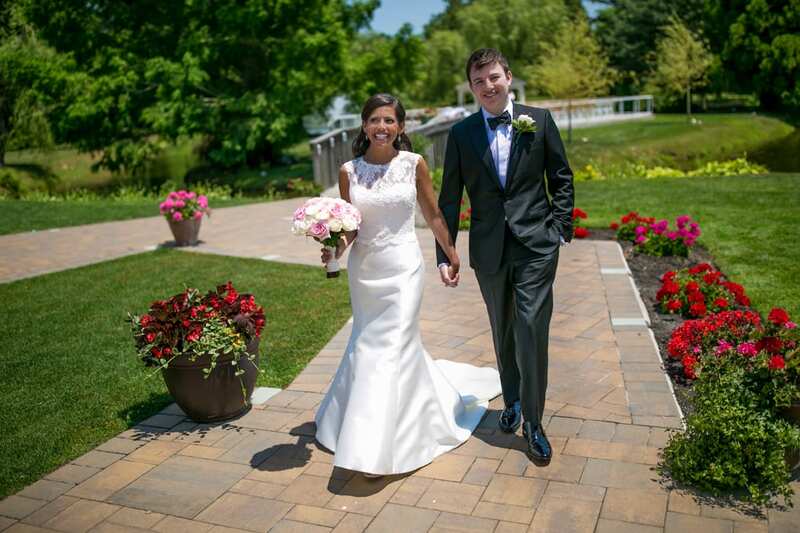 Lauren and Damien’s wedding day story began when our photographer Liel met up with the bride at her home in Chester, NJ and our photographer Sheila with the groom at the Dolce Hotel in Basking Ridge. Lauren’s wedding gown with the low back and bow paired perfectly with her beautiful orchid and rose bouquet designed by Jardiniere Fine Flowers. The couple met at the Basking Ridge Presbyterian Church, walking down the aisle to become husband and wife. We love the cool car they jumped into to head back to their home in Chester for their backyard wedding celebration! Amy Ackerman coordinated all the details of this special day from start to finish while Nick of Hank Lane Music got all of Lauren and Damien’s guests moving and shaking on the dance floor. A shout out to Redwoods Catering of Chester for providing the wedding cuisine. It was a sunny Sunday on the summer day Devorah and Mordechai became husband and wife. Our photography team, Liel and Sheila, and our video team, led by Davitte, crossed the Hudson River to celebrate with this happy couple. The bride first saw her groom at the Garden gazebo before the traditional Orthodox Tish and Bedeken ceremonies. More ceremonial moments happened later on in the night with a crazy Horah and a dance party with streamers and hats! Thanks to Nafshenu Orchestras for the great music! The Mezinka ceremony was a beautiful moment as well, celebrating the bride’s parents’ last child walking down the aisle. Mazel Tov to this happy couple. For all of those who celebrate the holiday, we hope you have an easy fast. Samantha and Joe’s wedding ended in becoming husband and wife, but the couple started the day at different locations getting ready for the festivities. Bride Samantha was at her parent’s house getting in her dress and blue wedding shoes with bridesmaids and family while groom Joe was with his guys at the Pearl River Hilton. The two met at Saint Margaret of Antioch church to recite their vows. Dad looked proud as he walked his daughter down the aisle. The party continued at a reception at the Pearl River Hilton with The Naked Soul Band who made the crowd go wild! Florals by Tyrell Florist and a four-tiered wedding cake added to the special occasion. Congrats, Samantha and Joe! What a beautiful day and a beautiful couple! Check out Stacey and Jeffrey’s wedding highlight reel capturing all the milestone moments of their wedding day. Mazel Tov! Genna and Andrew were all about the fun at their wedding at the Hilton Pearl River. They posed for photographer Liel’s camera with sunglasses as props, radiating positive energy on their wedding day. The couple got hitched during the summer, and they chose a beautiful deep fuchsia hue for the bridal bouquets that really popped in photos. The centerpieces, also designed by X-quisite Affairs, featured white and pink florals paired with elegant candelabras. The Phase One Band from Craig Scott Entertainment kept the positive energy going on the dance floor. We also loved all the little details Genna and Andrew used to personalize their wedding from Mr. and Mrs. signs to their wedding cake topper! Congratulations to this happy couple.